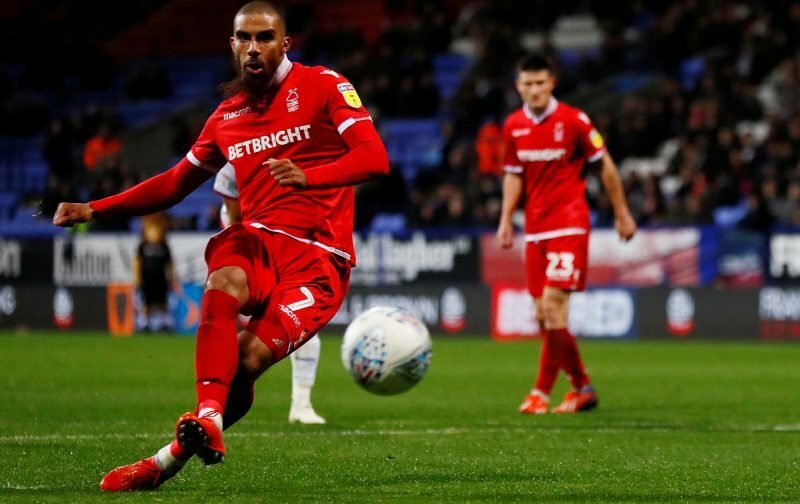 Lewis Grabban bagged his 10th league goal of the season in Nottingham Forest’s 2-0 win over Hull City and supporters were delighted with his performance. The 30-year-old has been in fine form at the City Ground since his move from Bournemouth over the summer and finds himself second to Brentford’s Neal Maupay (12) in the scoring charts. His ten league goals have come in his last 11 games for Forest and have helped the Midlands side in their pursuit for a playoff place. After 18 matches, The Reds are outside of the top-six but just one point adrift of fourth-placed West Bromwich Albion, boasting three wins and two draws from their last five outings. Grabban was eventually substituted late on for new-boy Karim Ansarifard, but he will be delighted with how his stint at the City Ground is going. The English striker spent the second-half of last season on loan at Aston Villa, scoring an impressive eight goals in 18 appearances, and has picked up where he left off at Forest. He’s led a nomadic career, playing for the likes of Crystal Palace (11 appearances, one goal), Millwall (70 appearances, 11 goals), Brentford (32 appearances, seven goals), Rotherham United (47 appearances, 21 goals), Bournemouth (115 appearances, 36 goals) and Norwich City (44 appearances, 13 goals). Grabban also spent time out on loan at Oldham Athletic (nine appearances, zero goals), Motherwell (five appearances, zero goals), Reading (19 appearances, three goals) and Sunderland (20 appearances, 12 goals).